Life is made up of codes – how to read and write, how to give directions, how to follow recipes or building plans; even your DNA is made up of a code. Computers, pictures, programs etc. are also full of codes. Everyone is using it without even knowing they are coding – or in some cases – decoding or debugging – their codes when they solve problems. We have a uniquely designed, wooden treasure box filled with unplugged coding exercises. It also comes with theme-based PVC mats and wooden tables to change the coding environment into a 3D one with obstacle courses. This treasure box of codes and mats can be used anywhere – even when there is no electricity in the classroom. No tablets and no electronics are needed. 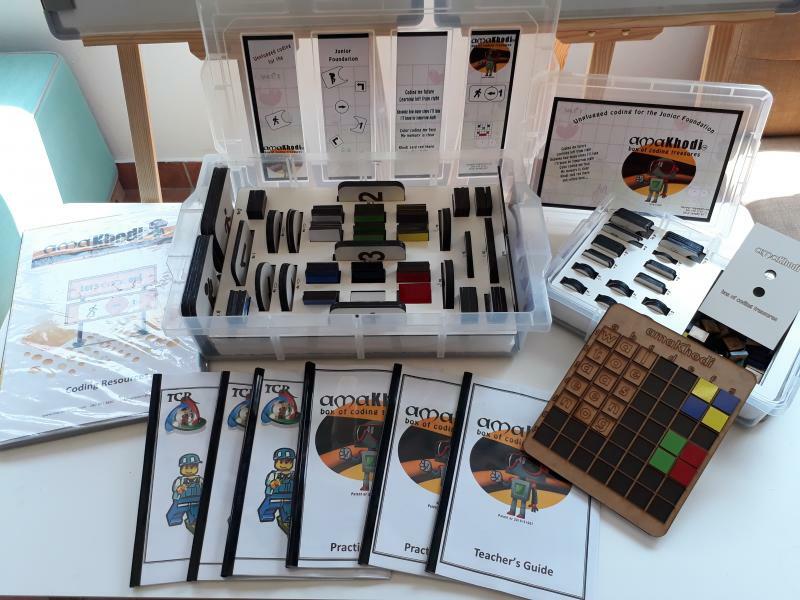 The box of coding treasures allows users (children at home, learners in schools, adults in businesses for critical thinking, even in sport exercises or ice breaking events) to learn to communicate, to solve problems and code their way through mazes of everyday problems. 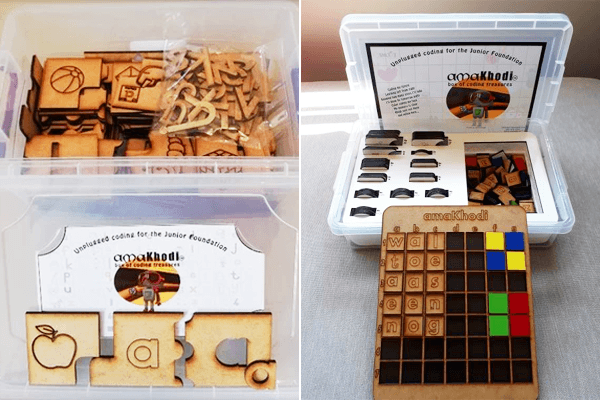 This box of coding treasures not only teaches people how to put basic coding commands together by using magnetic wooden coding puzzle pieces; it also accelerates learning when the user combines it with multisensory exercises to analyse and synthesize the codes. This fun, relaxed way of coding lays the foundation of coding as a language in the future of the learner. In short, it is there to learn how to give instructions, how to follow instructions or how to debug and find out where in the sequence/pattern the problem is.